Beach Cruiser are simply the most comfortable and casual ride one only hope to find when rolling around on two wheels. 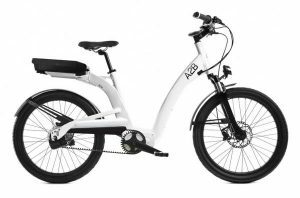 There are multiple things you should consider when searching for the best electric beach cruiser Keeping things in there simplest form can appeal to both beginners and those looking to escape the complications of multiple speeds. Single speed bikes are better for flat environments usually beach walks and storefronts are where you find the most Sunday strollers. These bikes are especially fun to ride because of there big comfy seats and relaxed wide-set handlebars. Electric Cruisers can vary a lot based off of design and power. To begin, most Electric cruisers will come with pedal assist or throttle-only mode options some newer models can have multiple levels of pedal-assist. The prime range for electric cruisers should be approximately 2omph. Overly-Geared bikes can be a hassle, most Beach cruisers are single speed. 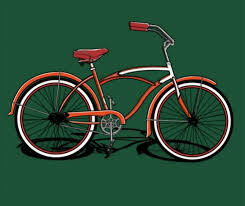 Furthermore, some cruiser bicycles come with gender-specific seats, although some women find men's seats preferrable and vice versa the Option is always there where the more specialized bike types don’t always cater to these things. The Entz is the premier model in the A2B catalog. This model combines the newest in pedal assist technology with the smoothest and most relaxing ride. The Entz offers both the standard or deluxe model. German-designed and built, both models are powered by pedal assist. The Entz is the first bike that comes to mind when looking for the best electric beach cruiser! 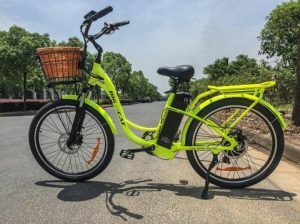 This e-bike is a step-through-frame-style beach cruiser, with a 500w geared rear hub motor, a 48V 12Ah lithium ion battery, and 4" balloon tires. 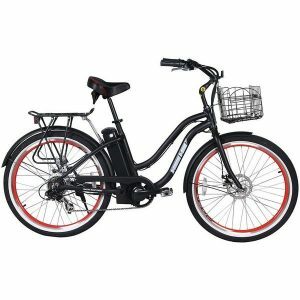 The Big Cat Long Beach 500 Electric Beach Cruiser Bike is the most comfortable e-bike on the market. Now equipped with a 48V10Ah lithium-ion battery, with a strong and efficient 500W geared rear hub motor. The X-treme Elite Cruiser is a hardtail Cruiser perfect for the beach, neighborhood and even your daily commute. It has a lightweight frame and state-of-the-art lithium batteries while maintaining an affordable price range of under $1000. It has plenty of space to carry groceries or stuff. It is one of the lightest full-sized best electric beach cruiser models out there.